Russian Talmudist; born at Wilna about 1845. He is the author of: "Mebo la-Seder 'Olam Rabbah," on Josef ben Ḥalafta's historical work (Wilna, 1894); "Seder 'Olam Rabbah," a critical edition of the text of the "Seder 'Olam Rabbah" (ib. 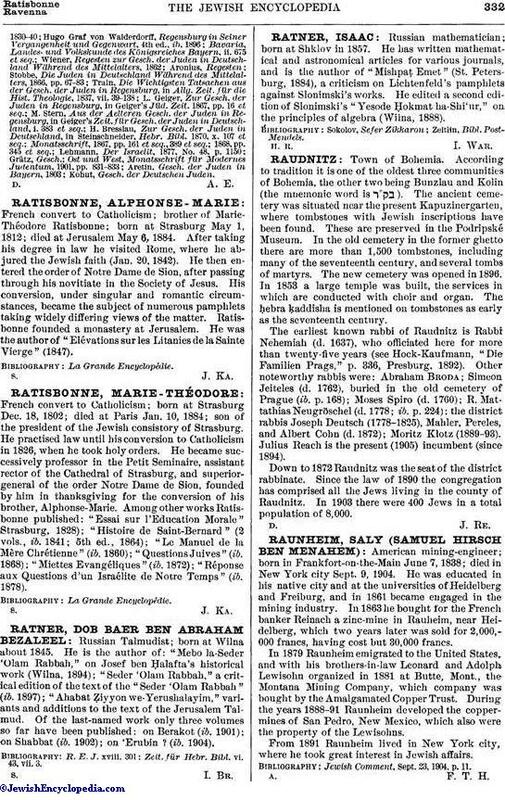 1897); "Ahabat Ẓiyyon we-Yerushalayim," variants and additions to the text of the Jerusalem Talmud. Of the hast-named work only three volumes so far have been published: on Berakot (ib. 1901); on Shabbat (ib. 1902); on 'Erubin ? (ib. 1904). Zeit. für Hebr. Bibl. vi. 43, vii. 3.